A structured settlement is a financial package paid over time to a plaintiff as compensation for personal injury or another type of lawsuit. 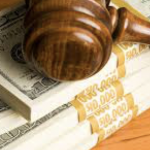 The insurance company or the defendant commits to making periodic payments to the plaintiff either for the plaintiff’s life or for a fixed term. The payments act as a stream of income and can be tailored to help the payee meet most of his/her immediate and future financial obligations such medical and subsistence expenses. A structured payment is different from a retail annuity owned by an individual in that it has no termination or withdrawal features. Structured payments offer tax-free benefits to the payee but payments must be received as they are scheduled. There are many structured settlement brokers who work with insurance companies and other financial institutions that offer the service. These brokers can help you choose the way you want your money to get to you. If you want to start receiving your money when you retire, for example, or wish that your spouse gets a portion of the settlement, these brokers will help you do that. Financial needs change with time. If the initial arrangement of receiving regular payments does not fit your current financial situation you can opt to sell it, otherwise known as factoring. It involves selling a part or all of the settlement so that you receive a lump sum. Reasons for factoring are varied and include paying off debt, starting a business, paying college fees, home improvement or paying for an emergency expense. If you have such a serious need and can’t access funds from any other source, it makes sense to sell your annuity to meet that need. You should know that the process takes time (up to several months) which is contrary to the claim of some companies that they can provide you with the money now. Selling structured settlements is a serious undertaking. 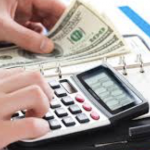 As the payee, you need to consider a number of factors when you choose a factoring company. How soon can you receive your money? Some companies provide an advance of the funds as you wait for the court hearing. Therefore, if you have a very pressing need then you might want to consider such a company. Before getting into a factoring transaction, compare quotes offered by reputable structured settlement purchasers. Get to understand what the terms Discount Rate, Future Value, and Present Value mean in regard to your intended transaction. You will be able to compare the costs of different companies and thus choose the best one. It is good to get independent financial advice from a legal and financial expert because your decision has a big impact on your financial future. In the US, factoring companies thrive on repeat business. This means there are many annuitants who factor a part of their annuity today and then go back to factor more at a later date. However, such transactions cost the annuitant a significant amount of money in legal and consultancy fees. It would be prudent to sit down with your financial advisor and determine how much money you need for your immediate and future needs so that you do one transaction and avoid the cost of doing multiple ones. JG Wentworth: JG Wentworth prides in being the biggest annuity and settlement buyer in the US. The company can purchase part or all of your future payments for a lump sum. With around 25 years of experience in the service, JG Wentworth has gained financial stamina to offer competitive pricing. As you wait for the judge to settle your case, the market leader can also arrange with companies that offer pre-settlement funding so that you get the money you need as soon as possible. Olive Branch Funding: Olive Branch is known to provide quality and speedy structured settlement services to its customers. When you contact the factoring company, you are assigned a representative who helps you to develop a plan that best suits your financial needs. All through the subsequent steps of the transaction, the representative is by your side providing guidance and up-to-date information on the transaction. The representative even helps you to prepare for the court case. Olive Branch Funding can also wire you a cash advance. SenecaOne: SenecaOne is an established and highly-rated company that has been in the annuity purchasing market since 2002. The company is not only concerned about selling your structured settlement but also providing you with options and solutions that will help you realize your long-term financial goals. You can get up to $5,000 in one day when you enter a settlement agreement with the company or an interest-free cash loan of up to $1,000 as long as you have a structured settlement that qualifies for the loan.